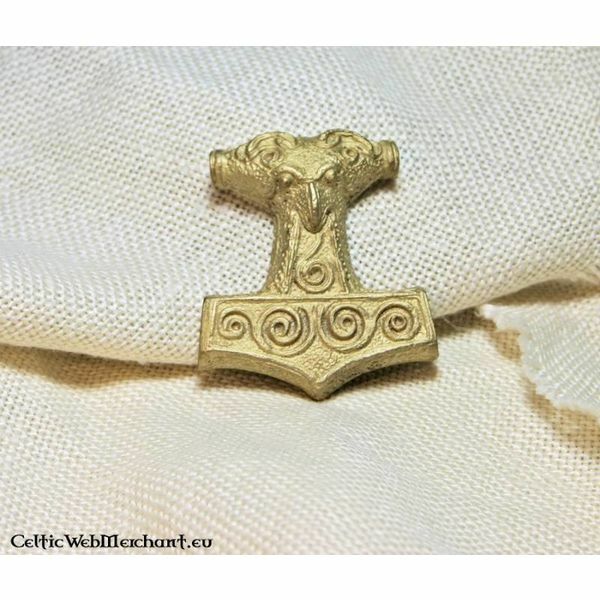 The hammer is the symbol for Thor, the god of thunder. He was seen as the highest god of the Vikings by mainly peasants and warriors. 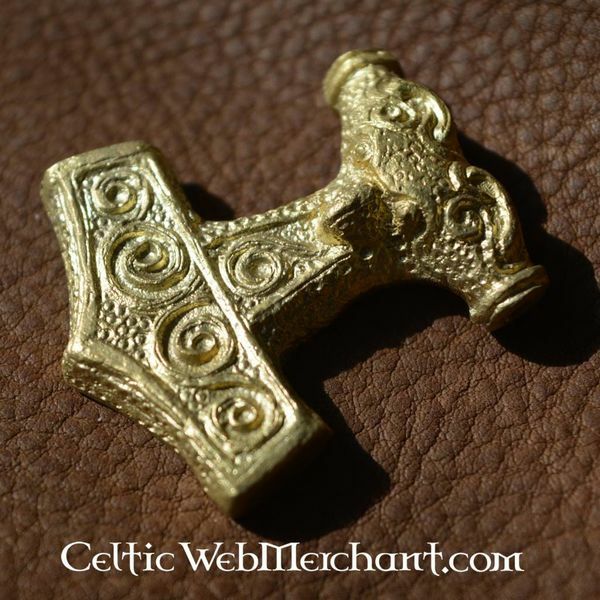 According to the mythology Thors hammer was forged by the dwarf Brokk and when it was thrown it never missed its target. 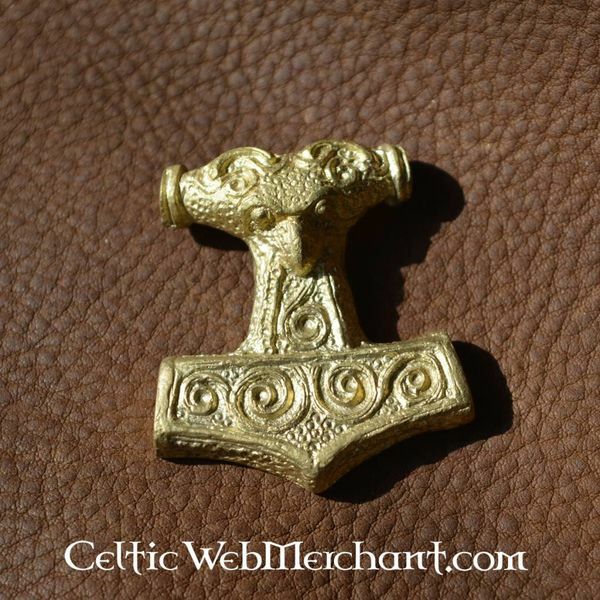 This brass replica is made after an original that was found in Schonen (southern Sweden). 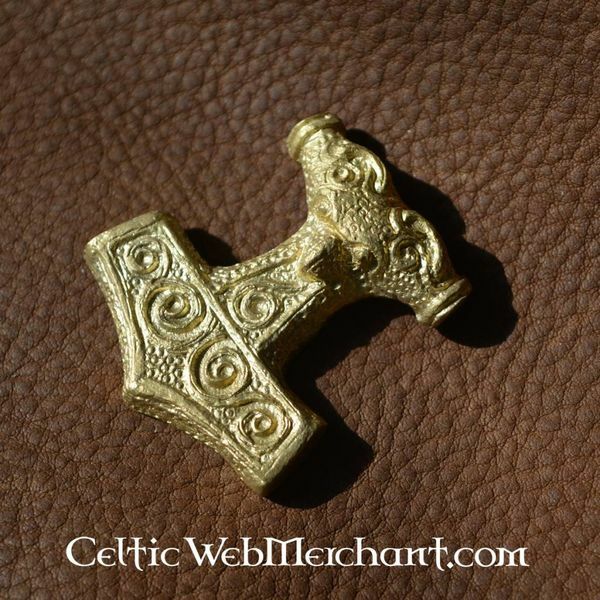 This pendant has a rams head with a curved beak and bulgy eyes. 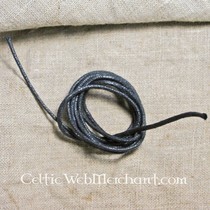 The pendant has a length of 3,3 cm and its width is 2,9 cm.